How Do I Paint a Laminate Countertop? 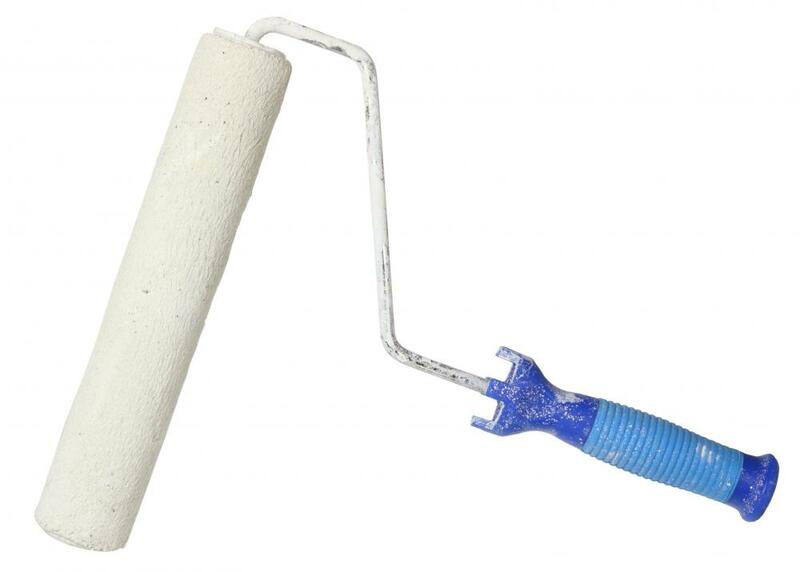 A medium-sized roller can be used to apply primer to a countertop. If the existing laminate cover is in good condition, the homeowner may choose to clean the top thoroughly, then use sandpaper to scratch into the surface. Primers for high-gloss surfaces should be applied to laminate countertops before painting. Refinishing your laminate countertops can give your kitchen or bathroom an updated, fresh look for a fraction of the cost of replacing them. To paint a laminate countertop, you first have to thoroughly clean the surface of the laminate and tape off the walls and cupboards. Then, thoroughly sand the countertop to remove the glossy finish, wipe it down, and apply a primer intended for slick surfaces like laminate. Once the primer is dry, you can paint a laminate countertop in the method of your choice, and then seal it with a polyurethane or acrylic sealant. The first step to paint a laminate countertop is to clean it and prepare the area for your project. If your counters are relatively clean, simply go over them with a rag soaked in a mixture of liquid dish soap and warm water to remove any dirt or grime, rinsing it with a clean cloth when you’re done. For heavily-soiled counters, a more abrasive kitchen cleaning solution may be necessary. Once everything is clean and dry, tape off the edges of your counter, both near the wall and the cabinets, and the area around your sink, if applicable, with painter’s tape. This will help to prevent the paint from bleeding or splattering onto areas other than your counters, giving you a clean, polished finish. One of the primary problems that occur when painting a laminate countertop is the paint not adhering to the surface, which is caused by a lack of sanding. Laminate generally has a high-gloss finish, which makes it nearly impossible for paint to adhere to the countertops, no matter what type of primer, paint, or sealant that you use. 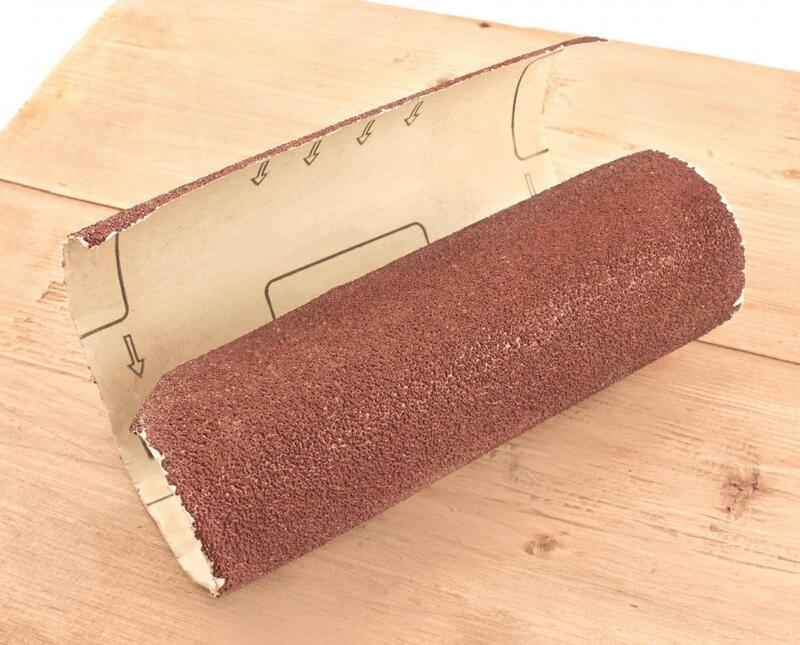 In small, circular motions, sand the entire surface of the countertop, including any edges, with a fine to medium grit sandpaper. Once the surface of the countertop is sufficiently roughened up, wipe the counters down with a clean, damp cloth to remove any dust, or use an attachment on your vacuum. Apply a primer intended for high-gloss surfaces to your laminate countertops with a medium-sized roller for larger areas, and a smaller paintbrush to get into the smaller areas or for detailed work. Let the first coat dry according to manufacturer directions, and then apply a second coat. 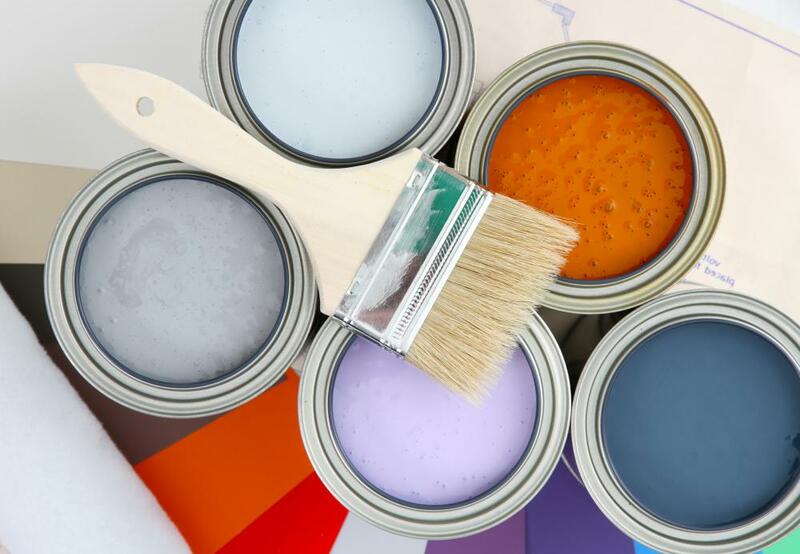 This will give you a good base for your paint color. For the actual painting part of your project, you can choose several different methods. You can simply paint your primed countertops with two to three coats of paint in your desired color, or use different methods to achieve different results. If you prefer a stone look, use a sponge and two similar paint colors to create a speckled effect on the laminate countertops. You can also use painter’s tape to create lines or patterns on the counters, and then carefully paint between the pieces of tape to create a unique look. No matter what method you choose when you paint a laminate countertop, make sure that you allow the paint to dry a few hours between coats, and let it dry for at least 24 hours prior to sealing it. The final step to paint a laminate countertop is to seal it off and allow the sealant to cure. Apply two to three coats of a sealant with a high-gloss finish according to the manufacturer's directions. It can take up to a month for the sealant to cure completely, so be gentle with the newly-painted countertop to avoid damaging it. What are the Different Types of Countertop Edging? What are the Different Types of Laminate Edging? What are the Best Tips for Countertop Installation? What Is a Formica® Countertop? Animandel - Try painting your countertops. If you do a terrible job then just replace them. All you lose is a bit of time and the cost of supplies. Animandel - All things being the same, I would advise you to go ahead and replace the laminate countertops with what you want. However, there is the issue of price to consider. Painting rather than replacing those countertops can save you a significant chunk of cash. I don't always follow directions when doing home repairs, and maybe you are like me. When painting countertops you must do as the article advised and sand the laminate thoroughly. I can't stress this too much. If you ever go into someone's home and see painted countertops that look as if the paint is about to slide off then you understand what I mean. prepared to take your time and don't try to rush through the job. With a good complete sanding, and all thee coats of primer, paint and sealant you can expect to be spending a lot of time on this project. That being said, if you do take your time and focus, the end product can look nice. So to answer your question, painting countertops is a good option and they look good if you take your time and do the job right. I have seen plenty examples of shoddy work and the countertops looked terrible. Make sure you are up for the job. I have been considering painting my laminate countertops in both the bathroom and the kitchen. They look so dated. I live in an old house, but these countertops have to go. Originally, I thought I would replace them with granite or concrete, or maybe butcher block; but then I heard about how nice painted countertops can look so here I am considering painting them. I'd be interested to hear from someone who has given this a try and see how it worked out.